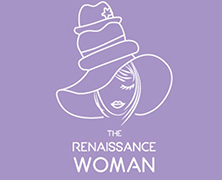 The Renaissance Woman Scholarship is open to any woman currently enrolled in college who shows interest in women’s issues and has a knack for writing. The winner will receive $600 and will be expected to write and help produce blog posts for The Renaissance Woman for no less than one semester. A brief essay (600 words) describing a time when receiving support from other women helped you in your life. A brief description (400 words) discussing how you will use the scholarship and how it will benefit your college career. Please submit all application materials to rburt004@fiu.edu by February 1, 2017.